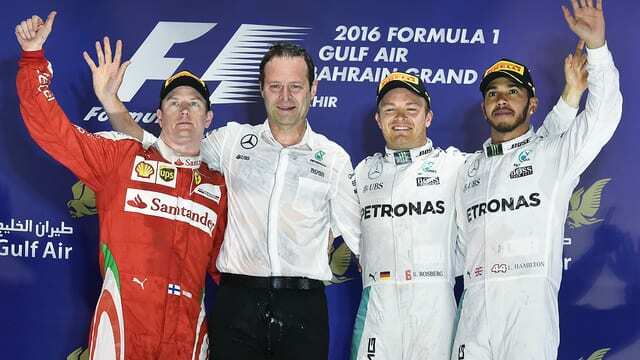 Another bad start for Lewis Hamilton lost the Brit his pole position during the Bahrain Grand Prix, and Mercedes teammate Nico Rosberg swept into the lead to secure a relatively straightforward race victory. Hamilton recovered to finish third, with Kimi Räikkönen taking home the second place trophy. Behind them, there was plenty of action from start to finish. Most drivers completed a three stop strategy, Valtteri Bottas was given a drive through penalty for colliding with Hamilton at the first corner, Stoffel Vandoorne put in some fabulous overtaking moves to finish tenth and pick up a point on his debut for McLaren, and Romain Grosjean went one place better than in Australia and finished up fifth. It wasn’t all good news though, Sebastian Vettel’s Ferrari didn’t make it through the formation lap, as the engine gave up at the final corner. Jolyon Palmer also headed into the pit lane before the race had begun and retired. Esteban Gutiérrez made it two retirements in a row and Button was left disappointed after an ERS failure left him in the garage to watch, alongside Fernando Alonso.